Welcome! 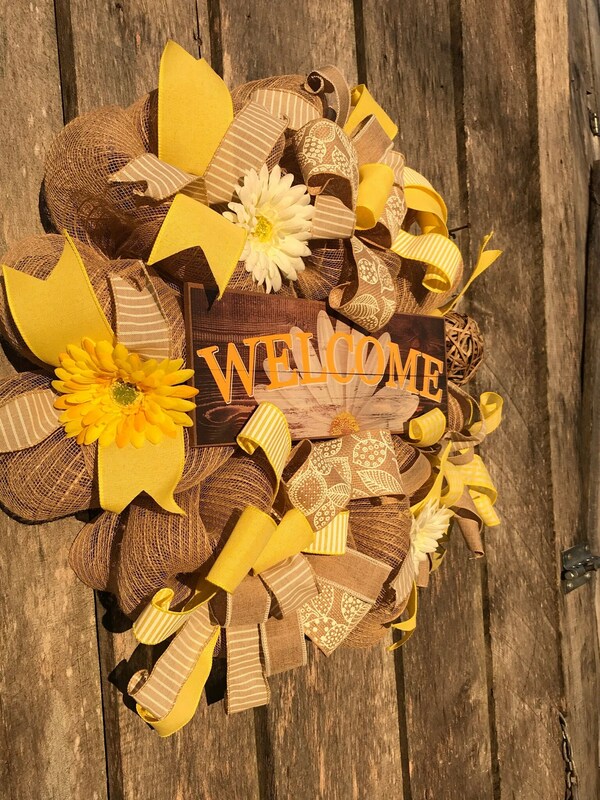 W&E Farms is your one stop shop for seasonal, everyday, sports, events, & custom wreaths! 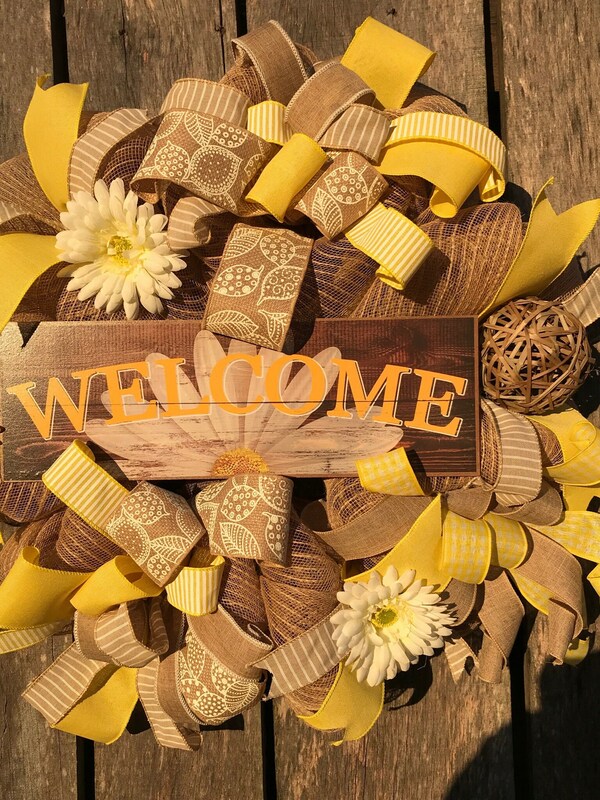 Welcome your guest with this pretty yellow & Tan Spring Wreath. 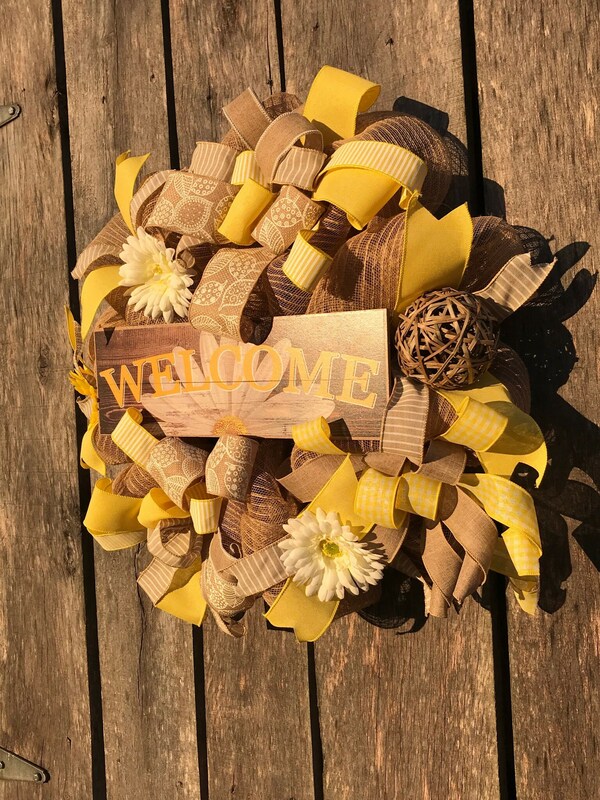 Made with poly burlap mesh, ribbon, flowers, woven vine ball, & a wooden sign. Wreath measures approximately 24 inches across. 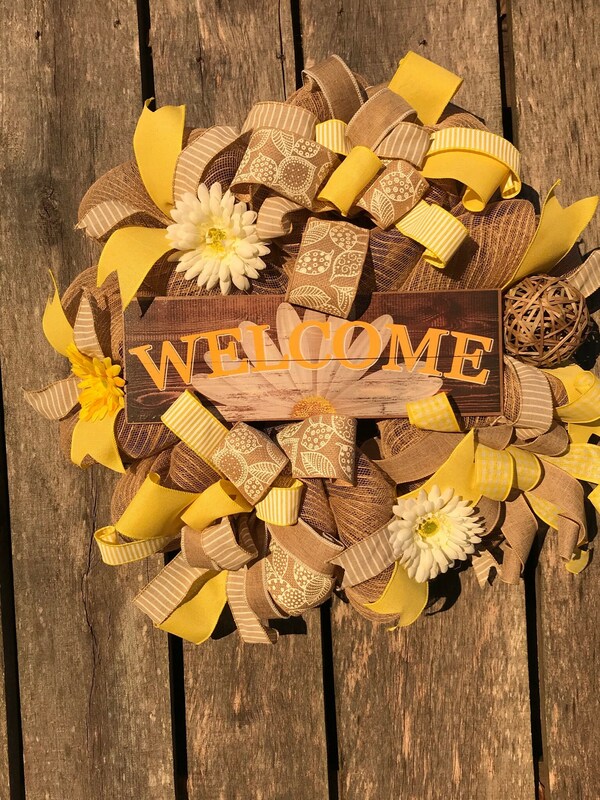 All wreaths are handmade and may vary slightly from pictures. *If placing your wreath outdoors please place under a porch or overhang to help protect the wreath from weather elements. This will help keep your wreath looking good longer. *Some items may need a little fluffing or adjusting after shipping. I also do custom orders, check out my shop. If there is something you would like just message me with an idea. Payment is due at time of purchase. I accept credit cards as well as PayPal & even Etsy giftcards. All sales are final, If you need to cancel your order please do so within 24 hours. I ship thru usps, items will ship as soon as it is made. If you are unhappy with your item please contact me and we can talk about your item and I will do my best to resolve the issue. I strive to ensure all my customers are happy with their handmade items. I do make custom orders, just message me with an idea.